The Josephine is believed by many local treasure hunters to be located on Hoyts Peak although there is still some debate on the issue. As of 2006 the mine was closed permanently by the forest service due to safety issues. 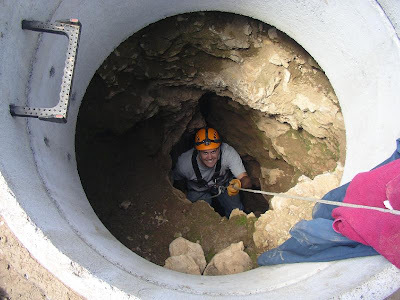 The upper entrance to the mine is still open and is called the Glory Hole. 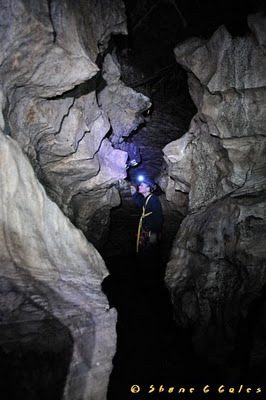 This is a natural cave that intersects the original mine. 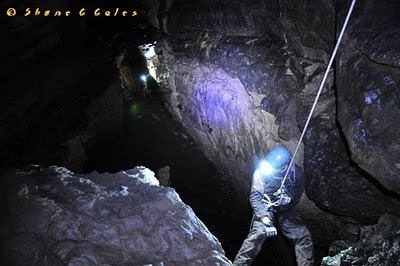 Over the years several different ventures have worked to re-open all the different passages of the mine. To this day nothing of significance has been found within the mine, although the current claim holder is hoping to recover emeralds inside the cave. The inscription on the gate reads "Remember the people under servitude or slavery that mined for the Spaniards." Jeff Baird descending the 40 ft. vent into the Glory Hole. George Thompson shares information that he had learned regarding the Josephine in his book "Faded Footprints" on pg, 56. "The earliest record is a waybill left by Jose Joaquin Garcia, penned in 1814, several decades before he sketched his now famous map. 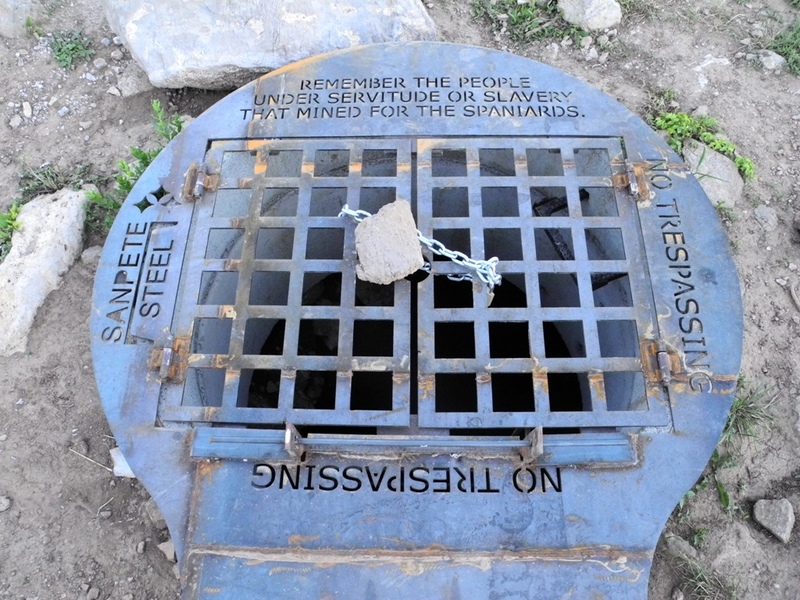 That document refers to work which was performed at mines on Hoyt Peak as far back as 1782. 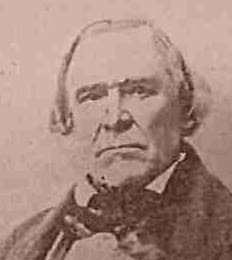 It was discovered in the Spanish Archives at Mexico City through the efforts of Russell R. Rich, Professor of Early History, Brigham Young University, Provo, Utah. It is quite likely that Professor Rich also dis covered the Garcia Map of 1821-1826, described earlier. Both the map and the document appeared at about the same time. 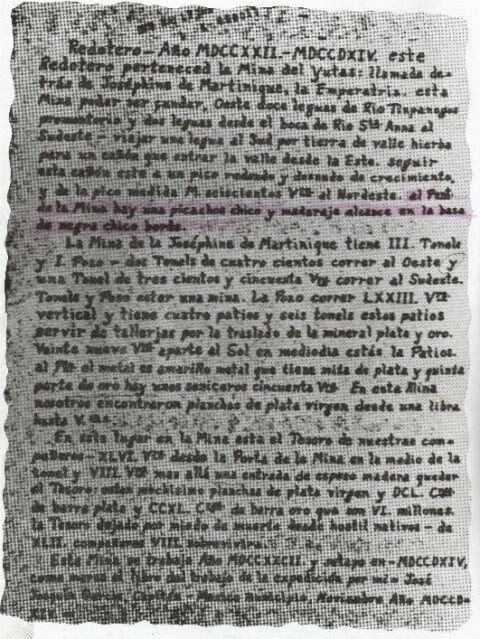 Another document recently uncovered in the Archives at Seville states that the Garcia Mine was registered in 1722, and was worked until 1749, when it was abandoned due to Indian troubles, and wasn't reopened until 1782. The mine was owned by the Garcia family for nearly a century. The waybill discov ered by Professor Rich has been authenticated by docu ment experts who have examined it in great detail; their opinions stating that the language of that document is consistent with the period in which it was written, and that several now archaic words and phrases in it would be unknown to anyone not living at that time. 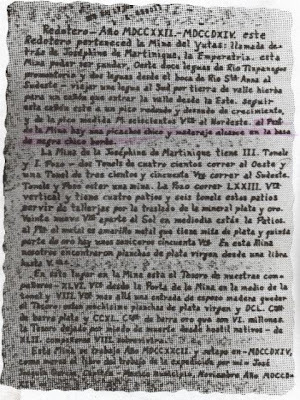 Spanish translation (from Faded Footprints - corrections are bolded). Charted Course - Year - 1722 - 1814. This charted course pertains to the Mine of the Yutas: Named later the Josephine - of Martinique, the Empress. This mine can he found, west 12 leagues of the river Timpagos headland and 2 leagues from the entrance of the river Santa Ana to the Southeast---travel 1 league south by the land of the valley of grass to a can yon which enters the valley from the east, continue this canyon east to a peak rounded and barren of growth, and from the peak measure 1,600 varas to the northeast Al Pont de la Mina hay una picachos chico y maderaje alcance en la basa de negra chico bordeThe mine of the Josephine - of Martinique has 3 tunnels and 1 shaft--2 tunnels of 1200 feet to the west and 1 tunnel of 975 feet runs to the southeast The tunnels and shaft are 1 mine. The shaft runs 103 vertical and has 4 rooms and 6 tunnels. These rooms served as workrooms for the transfer of mineral silver and gold. 80 feet apart at Noonday looking to the sun arc the rooms. By percentage, the metal - namely yellow metal which contains half of silver and Fifth part of gold. There are some ash pits at 137 feetIn this mine we encountered slabs of virgin silver from 1 pound to as much as 125 pounds. In this place in the mint is the treasure of our com panions --128 feet from the entrance of the mine in the middle of the tunnel and 22 feet beyond 1 door of thick timber remains the treasure. At this junc ture is many slabs of virgin silver and 655 Cargas of silver bars and 240 Cargas of gold bars that we value at 6 millions. The treasure abandoned for fear of death by hostile natives---of 42 companions 8 survived. "The mine was worked in the year 1722 and was closed in 1814, as so marked on the page of the workbook by me Jose Joaquin Garcia, Captain -- Mexico City, No vember of the year 1814.+"
Steven Shaffer's books "Out of the Dust" and "Of Men and Gold" cover in depth the exploration and history of this mine if you wish to read more about it. The image below is an overlay of the topo with the map of claims filed in the area. Other mines and prospects are located around the Josephine (The Josephine is located in quadrant #1 of the Finnigan claims). Both of the mines in quadrant 7 of the Olivia claims are filled in. I have not visited the mines in quadrant #2, but since all the other have been closed off it is likely that these are as well. The black bull mine is not really an old mine, but a cache brought down the mountain from either the Lost Josephine or another mine up Maxwell canyon. Several people have described finding it but could never gain access due to a large black bull that would not move from in front of the entrance. George Thompson shares one such account in his book "Faded Footprints" pg, 52. "A few years ago, four veteran deer hunters, all of them well along in years, were hunting in the canyon below Duke Peak, not together but close enough they could keep in contact. One of them accidentally came upon that tunnel as he was pushing his way through some thick brush; choke-cherries according to some, but kinikinnick by other accounts. When he met up with his companions a short time later he offered to show them the tunnel, and since it was not far off, they agreed. Weary from the high elevation and dragged down by the weight of years, they trudged back up the mountain side. But as they broke through the brush thicket, a huge black bull suddenly stepped from behind some ledge rock and stopped in front of the tunnel portal. It was an unexpected and unnerving sight, and one of the partners, a superstitious Indian, jumped back in terror, saying that the black bull was the spirit of murdered miners. He turned and fled down the mountain, and his fear must have been contagious, for he was closely followed by his companions. According to the tale, none of them ever went hunting in South Fork Canyon again." Steven Shaffer showed the entrance to the Black Bull on a documentary he did that aired on the History channel in 2010. He showed the entrance to a cave (known as Dan Clyde Cave today) as being the Black Bull. I don't believe that this matches any of the stories given of the black bull, but it is in the right area. The Dan Clyde Cave entrance. Could this be the location of the Black Bull cache? 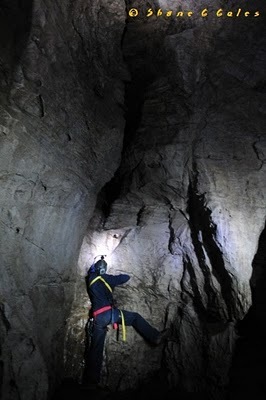 Michael Mimbach descending into the 60 ft. deep pit. Several crevices and canyons extend from the base of the pit. Was the gold cache washed down into one of these cracks? Spencer Coles attempting to climb into an upper passage of the cave. Spencer exploring the winding canyon below. Another cave lies in the Black Bull area. This one floods every spring and is a very wet and muddy cave. If anything was stored here it would be buried in several feet of debris. The cave in the photo below matches the descriptions given of the black bull mine more than most of the other locations. There appears to have been a cave-in and would require a lot of work to re-open this cave, but you just never know.... maybe it will be worth it? The Spring mines are now filled in as well. It looks like the forest service has been busy up on Hoyts. 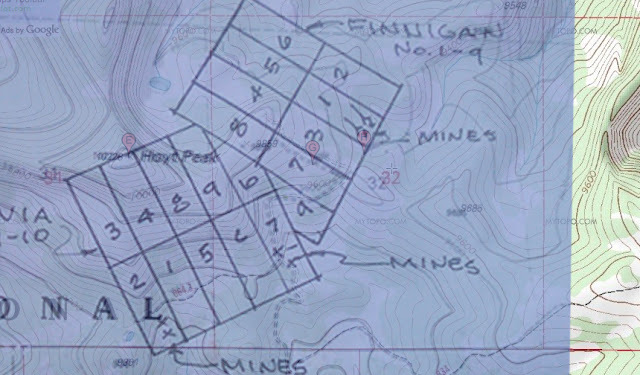 George Thompson shares some info on these mine as well in "Faded Footprints" pg, 59. "At the top of Hoyt Canyon there is an old shaft timbered with pine poles notched to fit at their corners, not unlike the notched walls of a log cabin. They are green with moss and nearly rotted through, but it is still evident that whoever put them in place was a real timberman, a miner who took pride in his work. A few logs from a fallen cabin are just above that shaft, and there are strange signs cut into large aspen trees nearby. John Young knew of that old digging, for he claimed it as Spring Mine #1. That claim name can still be seen carved into an aspen tree, near where the roads from Hoyt Canyon and Wide Hollow meet. 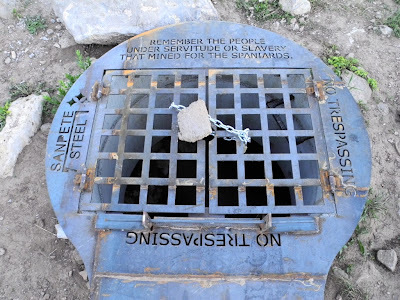 Although Young filed his claim to that shaft, there is no evidence that he ever attempted to pump any of the icy water from it or do any real development work. In July 1993, mineral claims on that shaft were filed by Harry Ayala and Lonnie Mayhew. After an especially hard winter, that shaft was nearly filled with snow water, but they made a camp there and began to pump it dry. They have recovered some good ore samples by probing its depths, but like Young, they too are being harassed by the Forest Service, which agency will not allow them to camp at their claim. To live in the valley and drive into those mountains every day is time consuming and not economically feasible. If they are ever allowed to pump that shaft dry, it will be interesting to see what will be found in its depths."